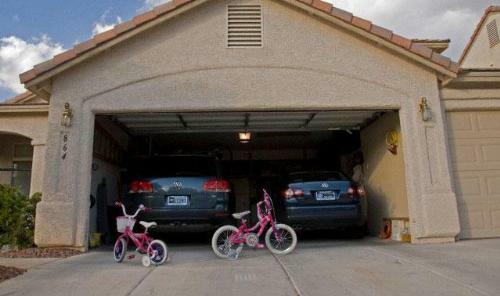 Now days, garage becomes most essential part of the house. More and more people want to construct a garage with their house. It is very important to locate or fix the position of garage with the buildings or houses. 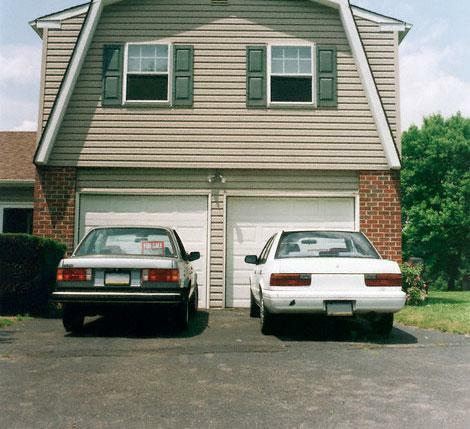 Generally, garage either is located in front or side of the buildings or houses. It is economical and comfortable that the garage should be constructed with the house and near to the driveway. Location with the building also plays an important role on the overall design of the garage. Garage has multipurpose use such as for parking car, scooter, use as office, use as gym, recreation room for children etc. 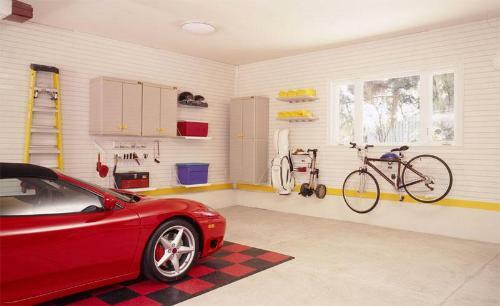 The available space with the buildings or houses determines the size, and how the garage interiors should be designed according to the use or the functions you want in your garage. At the time of design, it is necessary to consider the front and side setbacks and any lot coverage limitations. It is always better if you take help from technical person in designing and for layout or marking of the garage in the available space with the house. You can plan an attached garage or a separate detached garage with an apartment, building and house. 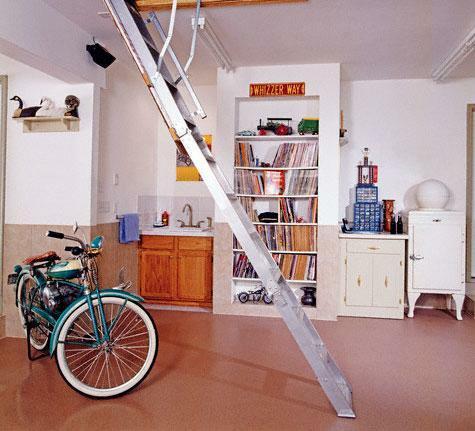 The garage can also be used as storage area or a retreat to escape the main house or for an office or art studio. To give the garage an unusual look many design offers numerous advance options that ranges from skylights, big garage doors, extra insulation, attic staircase and many more. With all these, choice one can easily make his garage a unique one. Budget availability for construction of garage. Whether the garage is attached or detached with the house, or a separate unit. In case of detached garage, is there any plan to attach with house? Electrical points to be fixed according to the need or use of garage. Whether any water supply point is needed? Windows and doors location with their sizes and designs. Rolling shutter should be 9 feet wide and 8 feet high in size. Safety arrangements including fixing grills etc in windows. 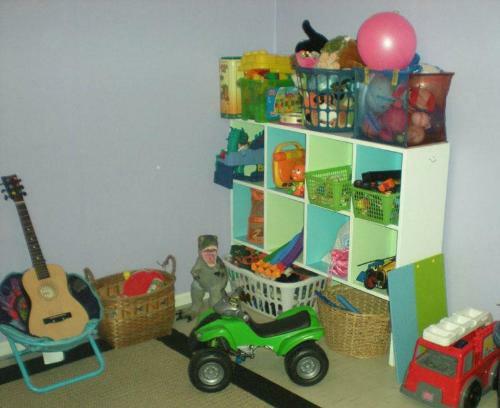 Provision of finished storage space including provision of cabinets etc. Floor level fixing with respect to the level of house flooring, ground and carriageway. Exterior finishing of garage should be same as per the existing house. Provision for connecting door to the building or servant room. In this way garage can be used as house unit from inside the house. 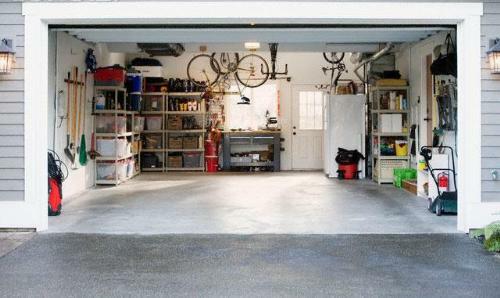 These days Garage have multi-purposes use, from storing house articles, inflammable and poisonous materials to keep them out from the reach of kids, gardening tools, a workspace and as well as your car park space. The garage design needs to have good appearance and optimum use of space; it should not only have to look good on drawing but has a good look and usable space after construction. In case the garage is attached to the house, it is a good idea to enter the house through a room or directly into the kitchen. The upper room can be one open space or separated into a bedroom, kitchen, living, and bathroom depending on the size and function of the room desired. The use of garage space is not limited to cars only. One can use a garage unit for building small business office, playhouse for children, personalized gym, guest room or family recreational room. Actually, one can do a never-ending list of things with it. There are many advantages of it as well. With a detached space, in house noise cannot influence the quite atmosphere of the residence but reduces the building cost. At the time of design, one should concern about the use of garage space, but it is more important to design its elevation in relation with existing building and obtaining good appearance. The main concern is that, how garage will look like. The garage should have a similar architectural style of existing building and complement the existing style with similar siding material, roofing, and matching dormers. The style should be blend and complement with the original design. Colors of the wall, design of the cabinets, types of materials used, and even the theme of the garage should be carefully planned.